If you’ve been looking around for the latest mobile online casinos, you may have noticed that several are using the Probability mobile gaming platform. There must be a reason more and more casinos are using this well-established platform, right? Of course! Probability is compatible with many mobile phones and tablets, so it makes sense that Vegas Mobile Casino has also chosen to operate on the platform. Vegas Mobile Casino was launched in 2014 by a Maltese operator called Progress Play Limited. The site sports a rather elegant, classic theme and the operator holds licenses from both the UK Gambling Commission and Malta Gaming Authority. The site is regularly audited, too, and hold all-important SSL security certification to ensure your data and games are safe, secure and fair. If you’re looking for a glitzy mobile platform, Vegas style, this is it. There are plenty of games and promotions on offer, a VIP loyalty rewards programme, and signing up is quick and easy. Since this mobile casino is exclusively powered by Probability Gaming, it means you can look forward to a wide selection of HD mobile slot games. There are also a couple of table games and even a bingo option to keep you busy on the go. 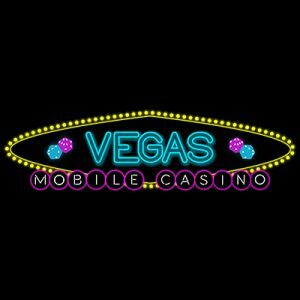 If you’re looking for a generous welcome bonus from a mobile casino, you might well want to check out Vegas Mobile Casino. When you sign up, you can double your initial deposit by as much as 100% up to the amount of €200, and there are free spins up for grabs. The minimum deposit at this casino is just €20 and the welcome bonus carries at 50x wagering requirement. The bonus makes use of a pretty standard structure where the full amount is locked from the minute you deposit until you have completed the wagering requirements. What’s more, the maximum bet allowed is either €5 or 5% of the bonus – whichever may be lower. Should you wish to make your casino deposits via Skrill or Neteller, your maximum bet allowance is €2 or 2% of the bonus, again which is ever may be lower, on a single round of play at a time. At the time of our review, the welcome bonus simply states, “free spins” and not how many, although they are valid for 7 days from the date you receive them. The best news about this online mobile casino bonus is that there is cap on how much you can either, either on the complimentary spins or the deposit bonus. However, the bonus is stick which means you can never withdraw it. Once you have met the necessary wagering requirements, the bonus is removed from your account as you make your first withdrawal. As is always the case with online casino bonuses, you’ll find terms and conditions attached, and the casino reserves the right to change them at any time. Vegas Mobile Casino is filled to the brim with weekly and regular promotions and bonuses. There’s everything from a Weekly Surprise to Live Dealer Cashback and a Wednesday Wildfire promotion. The promotions are updated often, so be sure to keep checking so you don’t miss out on great offers. This casino also has a VIP loyalty programme and you can climb the ranks as you wager on your favourite casino games and earn points. Hit the top tier and you can look forward to an array of VIP special treatments, like tangible prizes, VIP invitations to events and more. While there are a few mobile online casinos out there that aren’t that superb when it comes to payment process methods, you’ll be glad to hear that Vegas Mobile Casino has all the regular options available that you’d find at a conventional online casino. All the payment methods are fast, too, making Vegas Mobile Casino a great choice if you want to get on with the fun of online gambling. E-wallet withdrawals are typically processed within 24 hours, whereas credit/debit cards take 2 – 3 business day. Cheques can take up to 7 business day. 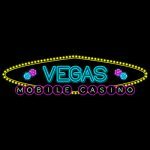 Vegas Mobile Casino allows you to withdraw as much as €3,000 per week or up to €6,000 per month. Vegas Mobile Casino excels when it comes to providing a huge array of games. In fact, there are over 300 games at this mobile casino. Online slots fans will love the selection of themes the range from traditional Vegas slots all the way to modern licensed games inspired by pop culture and Hollywood Box Office hits alike. There are even progressive jackpots to play on the go, including King Cashalot, Mega Moolah and smash hits like Jurassic Park and Dracula. On the other hand, if you’re more of a table games fan, you will find a neat collection of popular titles, such as Single Hand Monte Carlo, Casino Hold’Em Poker, several blackjack variants and baccarat. Let’s take a closer look at what Vegas Mobile Casino has to offer for your gaming pleasure. Firstly, this casino is filled with incredible slots. One you have just go to try is Pots o’ Plenty Slot, especially if you like Irish themed slots. The jackpot on offer on this one is a mega €3,000 and the long term expected payout is 95.66%, which means you might well get winning spins on the go. There are even free spin bonus slots and, in fact, a big selection of video slot games that award free spins at this mobile casino. If you’re looking for action-packed bonus games, make sure you visit the slots section at Vegas Mobile Casino as there are more than enough on offer. For roulette fans, we know that sometimes playing roulette on a mobile device can be a little tricky, more so if the device you’re using has a small screen. Thanks to high-def graphics on this casino’s HD Roulette, you can always keep an eye on the ball in play and clearly see where it lands. Blackjack players will love playing their favourite card game on the go, too. Blackjack is typically both a high and low-stake game which means you’re not forced to play it for the stake levels that your budget just won’t stretch to. However, you can have tons of fun on the move trying to get to 21! Live dealer games are no longer just for PC desktops. Thanks to Vegas Mobile Casino, you can play live dealer games on your mobile device. The menu of live games includes video poker, roulette and baccarat. As this casino’s name suggests, it’s open to mobile casino players and the entire game collection is available for players looking to have fun gambling on the move. Like many modern online casinos, Vegas Mobile Casino does not have a dedicated app to download. Rather, there is a fully functional HTML5 web app that you get to by visiting the site on your smartphone or tablet. All the games are available, including slots and live dealer games. What makes the casino fall ever so slightly in our rating is that there isn’t a search bar or a game filter, just a drop-down menu featuring the main categories. It can make finding slot games a little cumbersome, but it’s not a problem with the other categories. What’s more all the games at this mobile casino are audited for fairness by TST, an independent testing firm. There’s a seal on the bottom of the website that shows the games are all legitimately random and that you can rest assured you’re getting fair gameplay. Vegas Mobile Casino has a support department on call around the clock. There is a toll-free number and email address and response times are very good. It would be nice if there was a live chat function, particularly since you’re likely to be playing on the go and enjoy the convenience of mobile casinos! As with most mobile online casinos, Vegas Mobile Casino has a lot to offer gamers. We can’t, of course, compare the depth of its game offering to casino desktop sites, that wouldn’t be fair. However, this online mobile casino performs extremely well by providing a simple, clean site and a huge array of online slots feature state of the art HD graphics. There are still enough card and table games to keep your busy on the move and there’s even some bingo for something different. It’s safe to say this casino can hold its own. It’s responsive, well put together and highly convenient. There’s also that lovely welcome bonus to get you started. All in all, Vegas Mobile Casino has made a solid effort to do its best to cater for our new generation of mobile casino players.